[align=center]Apple's 'new' iPad 9.7-inch now available for pre-order in India [/align] Last month, Apple launched the 2017 variant of its 9.7-inch iPad with Retina display. It's an upgraded version of the 2014 model. And if you've been wanting to get your hands on one, there's good news for you. The tablet is now available for pre-orders on Flipkart. The 'new' 9.7-inch iPad is priced at Rs 28,900 for the 32GB Wi-Fi only model and Rs 39,900 for the 32GB Wi-Fi+Cellular version. Available in Silver, Gold and Space Gray colour variants, Apple's 9.7-inch iPad sports an aluminium unibody enclosure and a Retina display of 2048x1536 pixel resolution. It is powered by Apple's 64-bit A9 chipset, along with the M9 motion co-processor. There's an 8MP rear autofocus camera with f/2.4 aperture, 5P lens and several shooting modes including Panorama, Timer, Hybrid IR Filter, Auto Image Stabilization and more. 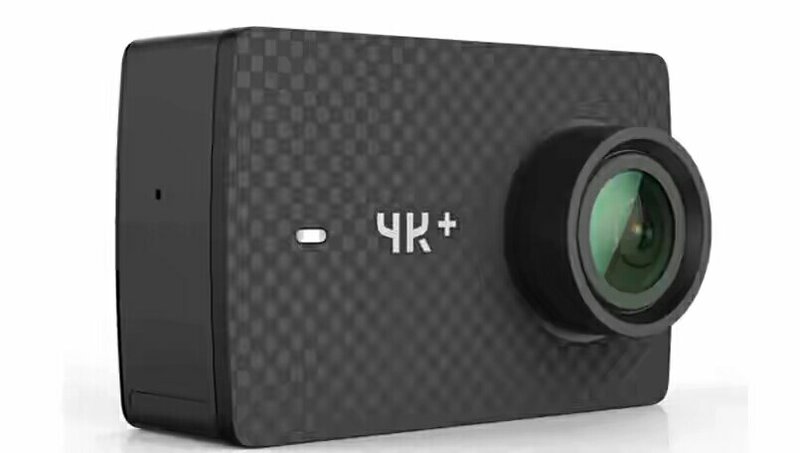 The camera can record Full HD resolution video at 30fps and slo-mo videos at 120fps. The 9.7-inch iPad also has a 1.2MP FaceTime HD camera with f/2.2 aperture and HD video recording. The new iPad supports Wi-Fi 802.11 a/b/g/n/ac, Bluetooth v4.2, GPS, GLONASS and LTE (cellular model only) as major connectivity options. It is backed by a 32.4Wh non-removable battery that is claimed to deliver up to 10 hours of web surfing. For those unaware, Apple has already launched the 9.7-inch iPad with Retina display in Australia, Canada, China, France, Germany, Hong Kong, Italy, Japan, Netherlands, Spain, Sweden, Switzerland and the UK. At the time of launch, Apple also announced its upgraded iPhone Mini 4 tablet. The tablet now comes with more internal storage at the same price. The 128GB Wi-Fi model costs $399 (approximately Rs 26,000), while the 128GB Wi-Fi+Cellular model starts at $529 (about Rs 34,500). It is not yet available in India. Smartphones manufacturer Vivo today said it has partnered with Flipkart for online sales of its V5Plus mobiles. The matte Black V5Plus limited edition phone, priced at Rs 25,990, will be available for sale on the e-commerce platform from tomorrow, the company said in a statement. "With this partnership, we aim to use the exclusive online market. As we cannot ignore the power of online medium, through this association we want to give a chance to consumers across both mediums," said Vivo India Chief Marketing Officer Vivek Zhang. Lenovo-owned Motorola will soon update its E-series with the release of a new smartphone. The device will be allegedly called the Moto E4 Plus. Apparently, the phone has been passed through the Federal Communications Commission, which certified a Motorola device with the model number XT1773. This particular device that passed through the FCC packs a 5,000mAh non-removable battery capacity, making it the largest ever for a Motorola smartphone. The FCC filing shows the Moto E4 Plus will include 4G LTE connectivity, 2.4GHz Wi-Fi 802.11-n support, Bluetooth Low Energy (v4.2), and NFC. 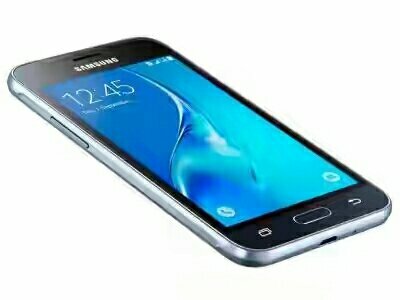 The handset will be powered by a MediaTek chipset. Evidently, Motorola is also preparing to release the Moto E4 smartphone. The device (XT1762) was certified earlier this week by the FCC. According to PhoneArena, the upcoming phone will feature a 2,800mAh battery, 16GB internal storage, 4G LTE, Bluetooth 4.2, and Dual-SIM support. Both smartphones are expected to run Android 7.0 Nougat out of the box. The Moto E4 and Moto E4 Plus will replace the Moto E3 and Moto E3 Power, which were released in September last year. With the upcoming E series now passing through the FCC we are certainly hoping to see these devices in the market in the coming months to come. Other than the updated E lineup, Motorola is working on the successors to the Moto Z and X series. As we said, there’s little to verify this information at the moment, but with Lenovo World 2017 the likely launch bad for all these devices, we expect to see a lot more speculation in the coming weeks. First of its kind offer for Vodafone customers on Amazon Prime ~ Customers who sign up for a paid Amazon Prime membership via MyVodafone App or website will get₹250 cashback added to their Amazon Pay Balance~ ~ Vodafone India’s customers will get access to Amazon Prime’s selection of latest and exclusive movies, TV shows, stand-up comedies, kids’ programming and global Amazon Originals ~ Amazon Prime offers unlimited free fast delivery on India’s largest selection of products, early access to top dealsand unlimited streaming of latest and exclusive movies, TV shows and Amazon Originals~ Vodafone India is the first telecom operator to partner with Amazon Prime Video India enabling customers to seamlessly access their large selection of latest and exclusive Bollywood, Hollywood and regional movies, US TV shows, kids’ programming and global Amazon Originals. Starting March 22nd, Vodafone consumers can enjoy Amazon Prime with a special consumer offer on its data strong Vodafone SuperNetTM4G network. After subscribing to Amazon Prime via MyVodafone App or Vodafone Website for an annual introductory subscription price of only Rs. 499, Vodafone customers will get Rs. 250 cashback as their Amazon Pay Balance. Currently, the offer is available only for Vodafone customers using Android devices. Inviting Vodafone customers to enjoy Amazon Prime’s premium entertainment digital video service on their mobile, Sandeep Kataria, Director - Commercial, Vodafone India, said, “The entertainment consumption patterns of customers are rapidly changing. They want more freedom and flexibility in the way they consume content. This partnership with Amazon Prime Video does just that, further strengthening our content propositionand reiterating our commitment to offering the best to our customers along with unique privileges. It makes available a wide range of latest, high-quality movies and TV shows to our millions of customers, giving them exclusive access to adiverse selection of entertainment and rich content with an unparalleled streaming experience on the data strong Vodafone SuperNetTM4G network”. Nitesh Kripalani, Director and Country Head, Amazon Prime Video India said, “We are delighted to partner with Vodafone Indiato bring this unique offer first to Vodafone customers. At Amazon Prime Video, our focus is on offeringlatest and exclusive movies and TV shows to customers on a reliable service, with great playback quality and low data usage. This offer further extends our promise of delivering convenient, on-demand access to our large content selection to our customers.” Amazon Prime already offers unlimited free One-day and Two-day delivery to over 100 cities on eligible items from India’s largest selection of products, 30 minutes early access for members on top deals and more benefits for an unparalleled shopping experience. Customers who are not already Prime members can learn more about the program at www.amazon.in/prime About Vodafone India Vodafone India is a 100% fully owned subsidiary of the Vodafone Group Plc. with operations across the country serving over 204 million customers (over 106 million in rural areas). Commencing operations in 2007, Vodafone is today a robust, award-winning business and committed for the long term. Vodafone Business Services serves the needs of enterprises and government by providing total telecommunications (Voice and Data) solutions across mobility and wireline platforms. Our mobile wallet, M-Pesa is a unique and innovative money transfer service from Vodafone that fosters financial inclusion. Committed to optimizing the near-ubiquitous reach of mobile telephony to address national developmental priorities, the Vodafone Foundation partners is actively engaged in community development initiatives especially in the domains of m-Women, m-Agriculture, m-Education and Disaster Relief. Building on its global experience and expertise, an outreach across India and offering a comprehensive portfolio of technologies- 2G, 3G & 4G, Vodafone is uniquely positioned to actualize the vision of Digital India. Globally, Vodafone is one of the world’s largest telecommunications companies and provides a range of services including voice, messaging, data and fixed communications. Vodafone has mobile operations in 26 countries, partners with mobile networks in 49 more, and fixed broadband operations in 17 markets. As of 31 December 2016, Vodafone had 470 million mobile customers and 14.3 million fixed broadband customers. For more information, please visitwww.vodafone.com | Follow us on twitter @Vodafone IN_News and visit www.vodafone.in About Amazon.in The Amazon.in marketplace is operated by Amazon Seller Services Private Ltd, an affiliate of Amazon.com, Inc. (NASDAQ: AMZN). Amazon.in seeks to build the most customer-centric online destination for customers to find and discover virtually anything they want to buy online by giving them more of what they want – vast selection, low prices, fast and reliable delivery, and a trusted and convenient experience; and provide sellers with a world-class e-commerce platform About Amazon Amazon is guided by four principles: customer obsession rather than competitor focus, passion for invention, commitment to operational excellence, and long-term thinking. Customer reviews, 1-Click shopping, personalized recommendations, Prime, Fulfillment by Amazon, AWS, Kindle Direct Publishing, Kindle, Fire tablets, Fire TV, Amazon Echo, and Alexa are some of the products and services pioneered by Amazon. For more information, visit www.amazon.com/about. Please visit www.PrimeVideo.com or download the Amazon Prime Video app today and sign-up for a 30-day free trial of Prime membership. Asus rolls out Volte update for some of its devices. Good news for Asus users at last. We have been pursuing the same issue with Asus since long,writting petition etc. Myself found the news as follows, Asus has announced a list of ZenFone devices that are getting VoLTE support in India through an over-the-air (OTA) update. The list includes ZenFone devices such as Asus Zenfone 3, ZenFone Go and others. Other than the devices mentioned in the list, Asus will be adding more devices that will receive the update soon. Here are the Asus ZenFone devices that are getting the OTA update for VoLTE support: Asus Zenfone 3 Deluxe 5.7-inch (ZS570KL)Asus Zenfone 3 5.2-inch (ZE520KL)Asus Zenfone 3 5.5-inch (ZE552KL)Asus Zenfone 3 Laser (ZC551KL)Asus Zenfone 3 Max 5.2 (ZC520TL)Asus Zenfone 3 Max 5.5-inch (ZC553KL)Asus Zenfone 3S Max 5.2-inch (ZC521TL)Asus Zenfone Max ZC550KL ((2GB/16GB) / (2GB/32GB) / (3GB/32GB)Asus Zenfone 2 Laser (ZE550KL (2GB/16GB) (3GB/16GB))Asus Zenfone Go 5.0 LTE (ZB500KL (2GB/16GB)) If you have any ZenFone device that is mentioned in the list above, just go to the Settings > About Phone > Check for updates. The update roll-out is done in a phase-wise manner so if your device has not got it yet; then you have to wait for a day or two.